Jack Reilly's diary for this day is a simple, "Left Harbour of Ladros 5am. Anchored north of Lemnos Island. Expect to land on Gallipoli Peninsula tomorrow morning." 1st Battalion War Diary: 5am - Left Mudros Harbour to rendezvous in bay North of Island. 11.30pm - Left rendezvous. 1st Brigade War Diary: Wind rising again, East by North. No rain. The accommodation on this ship (the Lake Michigan,ed) is very bad. Noon - Left Lemnos absolutely calm & fine. 4pm - Anchored North of Lemnos. 11pm - Left anchorage. All lights out. 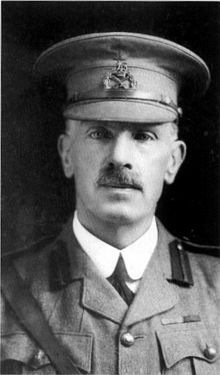 The 1st Battalion History takes up the story, "......on the 24th we moved out of Mudros Harbour to the west side of the island, ready for the attack on the following day. Our arrangements for leaving the ship had been finalised. As early as possible in the operations, three destroyers were to come alongside; first two, one on each side, and, when they were clear, a third. The troops to go in each destroyer were carefully selected. The transport personnel and horses were to remain on board, and also a hold party. We were to carry three days rations in packs and an extra 150 rounds of ammunition. We were warned there would be a difficulty about getting more water; and General Birdwood advised us to drink all we could before leaving the ship, as after that our water bottles might be all we should have for a couple of days. A lot of canvas water bags had been made for extra supplies. We knew very little of the actual plans for the attack. In fact, the whole thing seemed rather in the air, and so it proved. We understood that the 3rd Brigade was to land from warships at about 4am and endeavour to rush the enemy positions and hold on until the rest of the Division got ashore - and that was about all." ....As soon as the troops were on board, at 2pm, the ships left port. 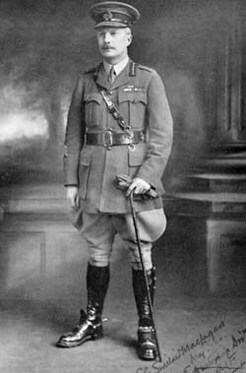 Colonel MacLagan, commanding the 3rd Brigade which was to make the landing, said goodbye to General Bridges in the Prince of Wales and boarded one of the destroyers. 'Oh, go along with you!' said Bridges laughing. Just before dusk that evening the men of the 1st and 2nd Brigades in their transports in the Bay of Purnea saw, steaming slowly along the horizon to the west, a squadron of five warships. They passed gradually across the skyline, trailing a long streamer of smoke, until the night closed over them. They were the battleships carrying men of the 3rd Brigade to Gaba Tepe."